Barry White was a three-time Grammy Award–winner, known for his smooth, deep, distinctive bass-baritone voice and romantic image. As a Singer, Songwriter and Producer, White achieved 106 gold albums worldwide, 41 of which also attained platinum status. 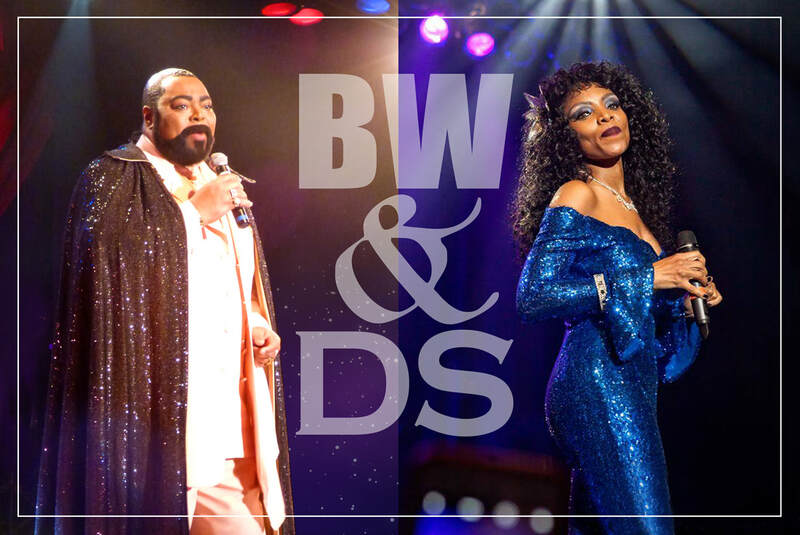 Jourdan Carroll will pay tribute to Barry White and the tremendous contribution he made to music. Jourdan has the look and sound that is an experience not to miss. You'll hear "You're the First, the Last, My Everything" and "Can't Get Enough of Your Love, Babe" and many more memorable hits. This is a return appearance to the Rockbox by Jourdan. He's appeared multiple times on TV as an actor and singer, produces his own concert events, and works for "Legends In Concert" as well. Donna Summer was a five-time Grammy Award winner. Ms. Summer was the first artist to have three consecutive double albums reach No. 1 on the United States Billboard 200 chart. Rainere Martin's performance as Donna Summer will fill the show with the amazing energy that only a Donna Summer tune can do! Rainere will sing "Last Dance", "MacArthur Park", "Heaven Knows", "Hot Stuff", "Dim All the Lights" and more. Like Jourdan, Rainere produces her own shows across the country and works for "Legends In Concert" as well. Don't miss your chance to hear these incredible voices sing the songs we grew up with in one romantic and fun evening!